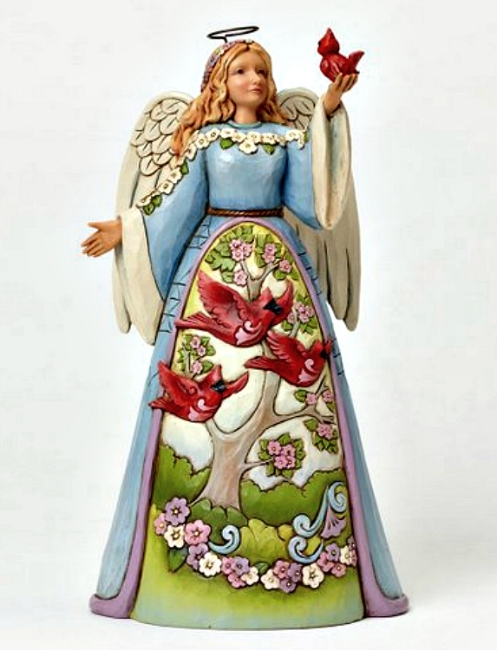 Angel with Cardinal Figurine by Jim Shore Heartwood Creek from Enesco. 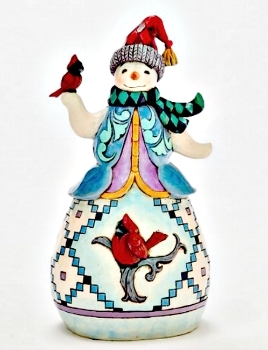 This charming Angel with Cardinals is a delightful tribute to one of Americas most beloved birds. The colorful avian theme is subtly reinforced by the intricate geometric quilt pattern decorating her robe. It is known as Birds in the Air. Made of Stone Resin. Measures 9.5"H x 5.125"W x 5.375"L.